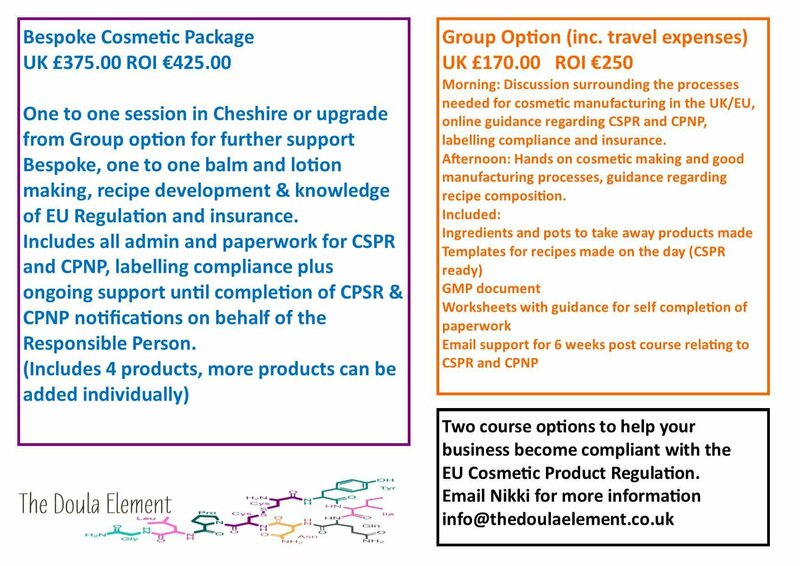 To book your place on a workshop please complete the form below to find out more about the workshops available. Six weeks email support relating to CSPR and CPNP notifications. Lotions and Potions is a workshop for birth workers. An interactive, hands on workshop where you will have the pleasure of working with oils, butters, waxes and essential oils to create something special! Take home the gifts you make and the ingredients to practice at home! Email for more details to book on an existing workshop or if you would like to host a workshop, give me a shout! 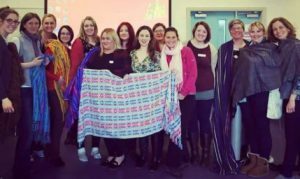 Originally I facilitated a workshop for parents and more recently since adaptation, I have been to Queen’s University Belfast Midwifery Society with my rebozo and some oxytocin! Since then we’ve been in Manchester, Dublin and Cork. This half day workshop will include information to complement the practical use of rebozo in pregnancy and birth. We will explore the historic use of the Mexican rebozo and discuss how rebozo can be used as a tool during pregnancy and labour for relaxation and along with a combination of different movements and positions, discover how rebozo may promote optimal fetal positioning and how it can be used as part of your journey. Different techniques will be demonstrated which you can then share with women and their partners, practicing and experiencing the magical relaxation rebozo can provide in a unique way, in this interactive workshop with Nikki at The Doula Element.